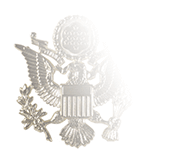 One of the United States Navy’s ten identification badges, the Career Counselor badge is worn by both enlisted personnel and officers, both in the Naval Reserve and while on active duty—but acquiring the badge is not an immediate option for new recruits. 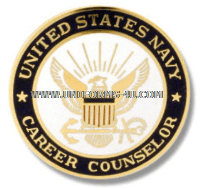 Rather than allowing new recruits to enter the Navy Counselor (NC) rating by attending a Class "A" Technical school before their first deployments, the Navy instead recruits its NC Sailors from First and Second Class Petty Officers who have between six and fourteen years of active-duty service in another rating. 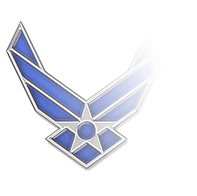 They also must achieve an ASVAB test score of 105 (Verbal Exression + Arithmetic Reasoning, with a minimum 50 in the latter category), and have no marks under 3.0 in the last three years of performance evaluations. (The full list of requirements is found in MILSPERMAN 1440-020). The Career Counselor may be worn by all NC Sailors who have been assigned as Command Career Counselors (CCC, Navy Enlisted Billet Classification 001617); all Sailors who have earned NEC 9588, Career Information Program Advisor; and those serving as Instructors in the Command Career Counselor Course. Similarly, all personnel in U.S. Navy or U.S. 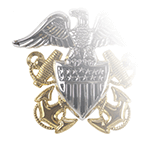 Naval Reserve Training and Administration of the Reserve (TAR) who have been designated as a Command Counselor or Unit Career Counselor for a Naval Reserve Activity and have completed the associated Career Information Course (CIN: R-501-0005) are also authorized to wear the badge. 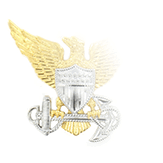 At the officer level, the Career Counselor badge is authorized for wear by commanding and executive officers and officers who are designated as full-time retention officers serving on the staffs of the Chief of Naval Operations (CNO), Fleet Commanders-in-Chief, or Type Commanders (examples of Type Commands include Expeditionary Combat and Information Warfare). 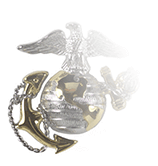 Note that enlisted personnel who are eligible to wear both this badge and Fleet/Force/Command Master Chief badge may wear only the Master Chief badge unless the CNO has granted approval to the contrary.